Bacardi Rum, Hendrick’s, Patrón Silver, Grey Goose Vodka and Combier Liqueur, with fresh lemon sour, black tea and a splash of cola. Aviation American Gin, Ty Ku Cucumber Sake, St. Germain, crushed cucumber, lemon. Astral Blanco Tequila, lime agave sour and prickly pear purée with a float of Grand Marnier. Ketel One Citroen Vodka, Cointreau, fresh lemon and PAMA Pomegranate Liqueur with a sugar rim. Grey Goose Vodka and Yokaichi Shochu shaken with hibiscus-infused tea and passion fruit purée. Patrón Silver Tequila and Combier Liqueur d'Orange with organic agave nectar and yuzu sour mix. Red wine, Benihana Sake, plum wine with pomegranate and orange juices. Malibu Mango Rum with passion fruit purée, pineapple juice, fresh limes and mint. Malibu Rum with pineapple and coconut and a strawberry purée swirl (frozen). 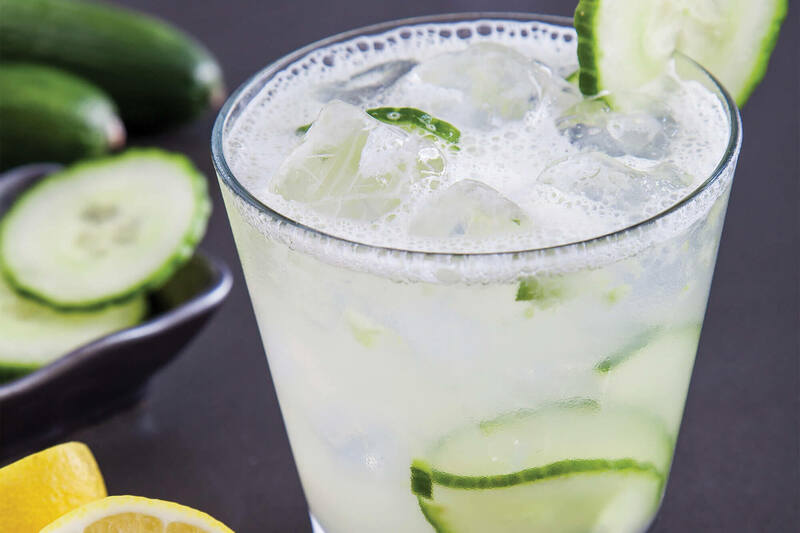 Tito’s Handmade Vodka and Benihana Sake with crushed cucumber, fresh lime and ginger beer. White wine, Benihana Sake with pineapple juice, white peach and passion fruit purées. Cîroc Coconut Vodka and Malibu Rum with coconut, pineapple, fresh limes and mint. Bacardi Silver Rum and Benihana Sake with fresh limes and mint. Myers’s Platinum Rum with orgeat syrup, Angostura bitters, tropical fruit juices and Myers’s Dark Rum float. Absolut Vodka and St-Germain Elderflower Liqueur with lychee purée and pineapple juice. KAPPA COLLINSAviation American Gin, Ty Ku Cucumber Sake, St. Germain, crushed cucumber, lemon. Single serving - (220 Calories). For two or more. A traditional tropical rum cocktail featuring Sailor Jerry, passion fruit syrup, grenadine and fruit juices. Single serving - (250 Calories). For two or more - A sweet concoction of Absolut Mango, Stoli Raz, raspberry purée and cranberry juice. This beverage is especially unique when you choose to top it with a bottle of La Marca Prosecco - (1,120 Calories). 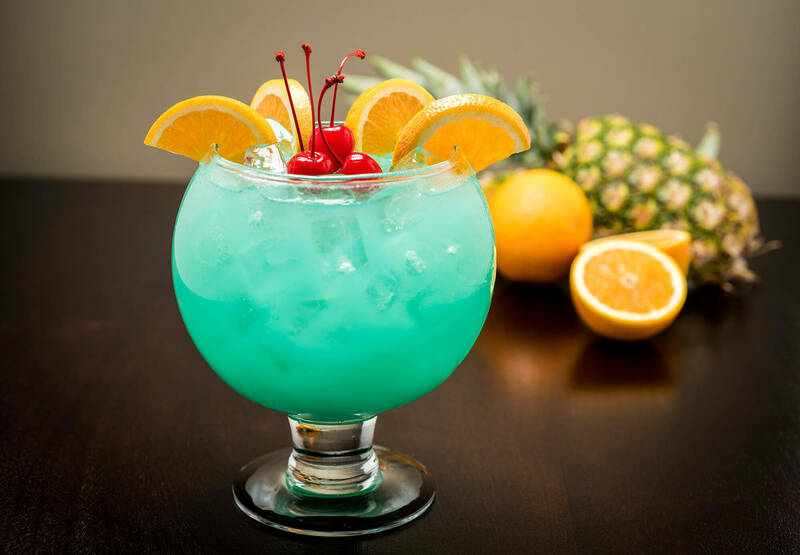 A tropical blue concoction with Malibu Rum, New Amsterdam Pineapple Vodka, sake, blue curaçao and tropical fruit juices. BABY BLUE OCEAN (270 Calories) – Single serving.